EconoCuts Landscape Management/EconoCuts Construction are constantly looking to add the best and brightest the industry has to offer to our team. Our rapid growth and diverse offerings help us provide a challenging yet rewarding work environment. If you believe you are ready to take on the challenges of a career with us, please send us your information. 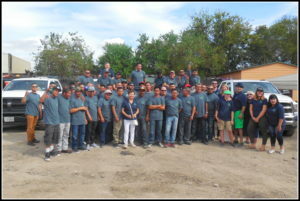 We are always looking to add to our lawn maintenance, landscaping and construction division.